NetApp's Strategy and technology director has characterised today's CIOs as “brokers of services”. 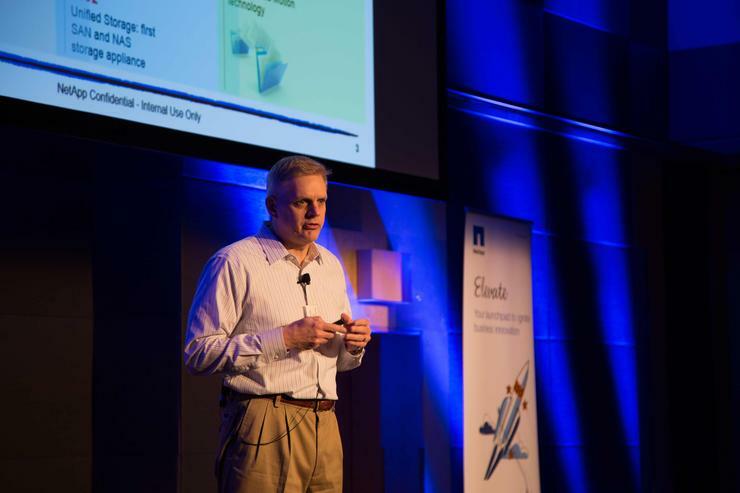 Mike Riley made the observation at data management vendor's NetApp SElevate event in Sydney. “CIOs don’t have time to launch a two-year project and recognise any type of RIO two years from now,” he said. Riley attributes this change the increased pace of innovation in the way services are consumed. “You can embrace the fact that you are a broker of services and how to wrap your own corporate value around a service to propel your business, or deny it and let it become a drag on your business,” he said. The IT needs to remain agile, though Riley said it can not have veto authority over business decisions. “We have to be in the room to execute on that instead of saying it will take 18 months to do,” he said. In some cases, 18 months may not be enough for a CIO to see a project through. NetApp also conducted research which found the majority of CIOs spent 70 per cent of their time on infrastructure “just keeping the lights on” and the rest on innovation. Riley placed the figure even higher saying the CIOs he has interacted with claim they spend 95 per cent of their time trying to keep the lights on and the rest on new services. Ideally the balance should be the other way around, and Riley said it is achievable. “It’s a place to start so that you can automate mundane, simple or repetitive tasks for your storage environment,” he said.